E.g-1. I served it with a great pile of wilted mustard greens. 2. Steam a little pak choi, mustard greens or summer cabbage to serve alongside. 3. 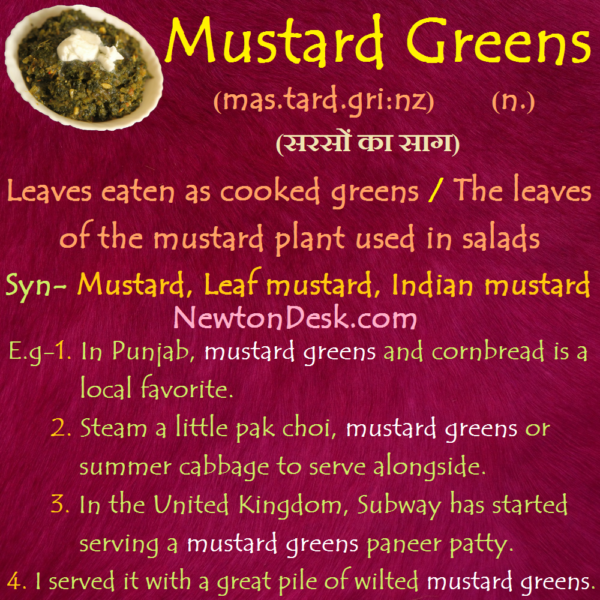 In Punjab, mustard greens and cornbread is a local favorite. 4. In the United Kingdom, Subway has started serving a mustard greens paneer patty.